Inspired by the popularity of our Bike Spotting series, dandyhorse decided to take it up a notch in order to find out which items are most valuable – nay, essential – to the average city cyclist. You can send us your bike bag photo at bikebag@dandyhorsemagazine.com. 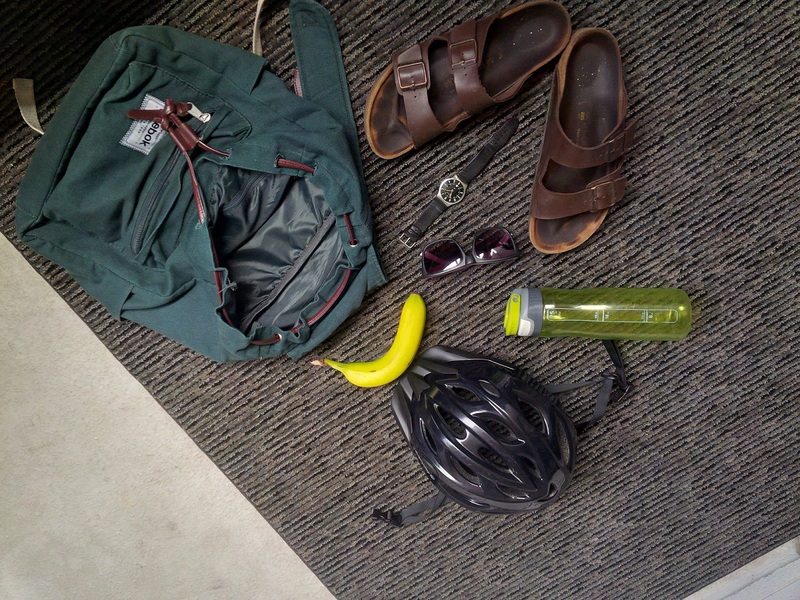 "These are my basic essentials I take everywhere with me when commuting around Toronto, I quick change of footwear, a watch to keep track of my time on the bixi bike, and a snack for when i'm on the road." We hope you're enjoying the series so far. Stay tuned for many more bike bag reveals in the days to come!